Inspiring ideas for a new post can happen at anytime, anywhere and any place. What would happen if a person is working in his office, sitting on his couch, doing shopping or even playing games and all of a sudden he got a miraculous idea for his new post? 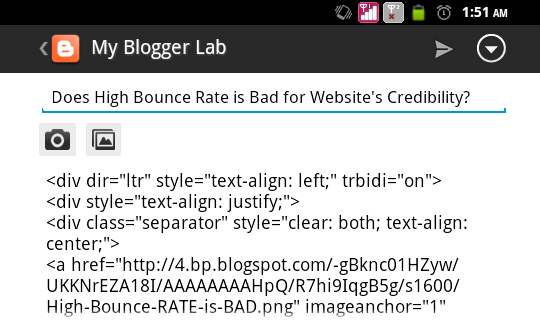 Luckily, we have the power of mobile devices that enable a blogger to stay connected with his site. Keeping that in mind, Google developers have launched a much awaited update to their Mobile Apps for both Android and IOS. Everyone was anxiously waiting for an update because the previous versions of the applications were unable to amuse the blogger users. 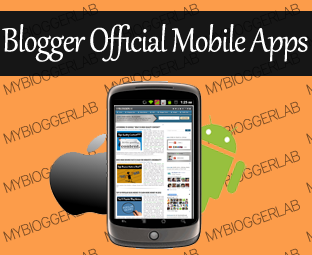 Today in this article, we will be reviewing Blogger’s Official App for mobile users. 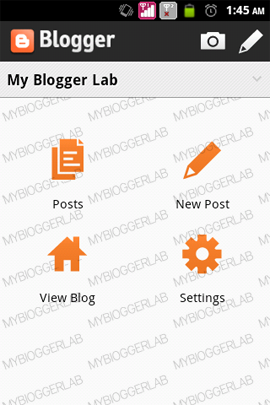 The previous version of Blogger’s Official Mobile App had lots of Bugs, due to which lots of webmasters refused to use the official App and started to utilize unofficial Blogger Apps that were pretty responsive and user friendly. 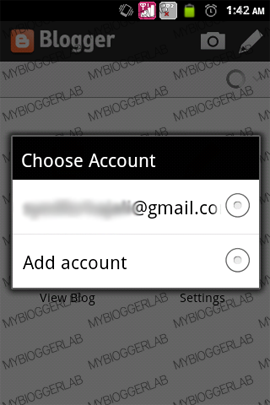 However, an update has given a new live to this Mobile Application. It is far healthier than the other unofficial apps; it has elegant interface and much more thrilling features that are beyond the description. 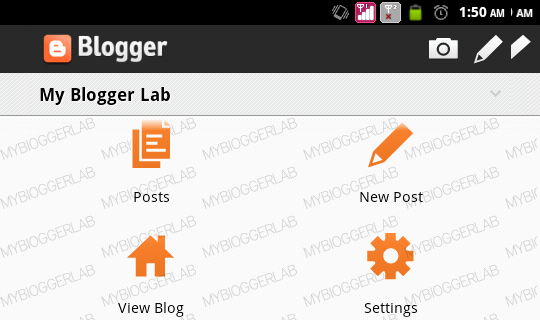 According to Blogger Team, “This update will make stuffs lot easier for users to create and share. It supports both Landscape and vertical display so a person can adjust it according to his desire needs. We tested this application on Android 2.3 with 1 Giga Processor and 256 of MB Ram, surprisingly the results are incredible. While navigation from Landscape to vertical display, we didn’t find any lumpy experience even though we were using a pretty low Android Mobile Device in terms of Memory. 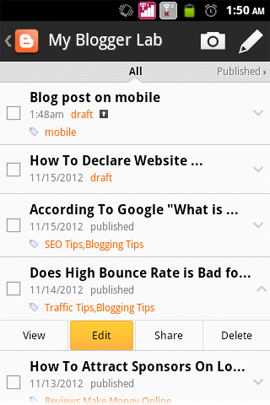 Just look at the following Landscape screenshot of Homepage that we captured while reviewing this application. It has a new Google+ Share post button that helps a person to share his new articles on Google Plus. Furthermore, now this application supports more than 30 international languages, so the language barrier is no more an excuse. It also supports iPad and Android Tablets. It has unlimited features that can’t be described in words. The latest version of Blogger’s official App has lots of positives. On the other hand, it also has little negativity. 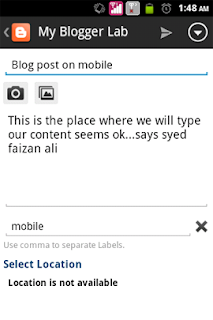 The “Compose New Post” or “Post Editor” tool is not according to the expectation. It displays the text in a form of HTML so those who are not die heart coder would be unable to handle its interface. Consider the following screenshot which tells the whole story. In the screenshot, we can easily sight that it didn’t have an HTML friendly composure menu. Coding is all over the place which is extremely annoying. 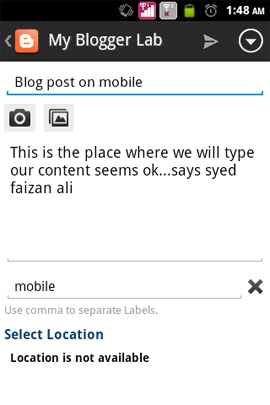 When we pick up the news that Blogger Mobile App is modernized our team decided to give it a try. We grab our Android Smartphone, and started to test its features and functionalities. First, we thought it would be complete garbage, but this application proves us wrong. 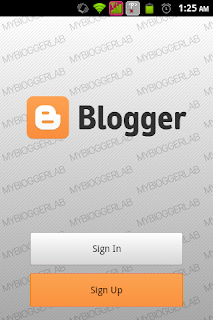 Truly, it is a must-have Mobile Application for Blogger Users. What are your thoughts about this Application? Does it meet your expectation? Take a lot care of yourself till then, Peace, Blessings and happy mobilizing. you purchased android bro ! which one :) and anyways awesome post. 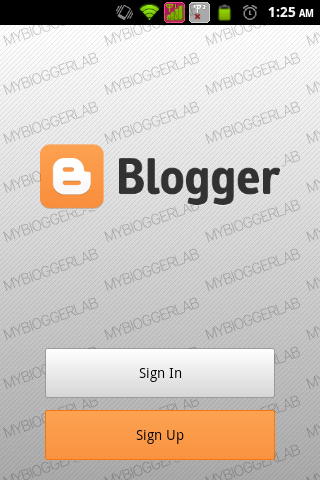 Thank you bro for informing me i love read about blogger apps. Clone? You are actually trying to copy your theme?. Well, This error only appear when your theme is not well formed.